hey i am very new to coding and was recommended to try middleman to create a landing page to capture emails. 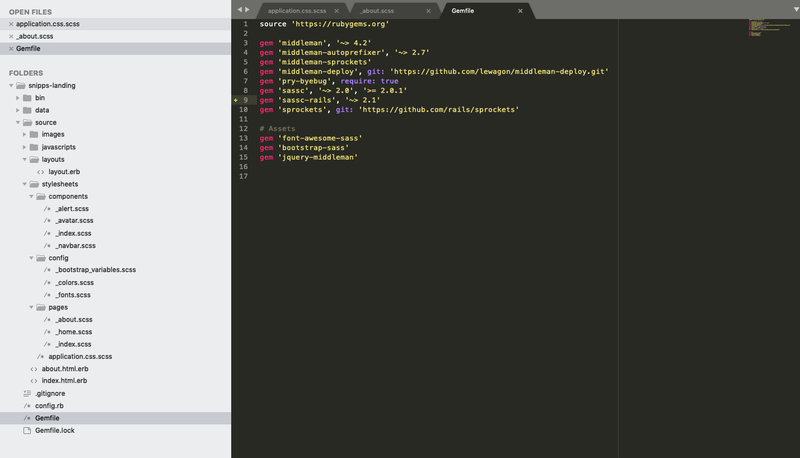 when i run the command ‘middleman server’ - the local page is not rendering the css from a pre made stylesheets template (i didn’t change any of the code in the files)…i did find something online that mentioned renaming files with imports to .css.scss or removing the underscores but still no dice. Are you sure that your HTML page is correctly seeing (linking to) the CSS files? You can check it in Inspect window of your browser. I can see you’re using Bootstrap in your CSS folder, this needs some configuration etc. Have you done it? Generally if you’re new to web-coding in general, it may be difficult to use tools like Middleman right away, since it’s a conglomerate of many technologies, libraries, tools, etc. Many things to lick.